All of you are familiar with maps. City Map, World Map etc. etc. But how many of you know about sitemap? Though it's a very common term to the webmasters, general people hardly know about this. Even new bloggers are not conscious about sitemap. The fact is that it's an important part of SEO. Let's take a brief idea on Sitemap. Well a sitemap is something like City Map! What does a city map tell you? You can find the park, bus stand, university or any other important places from the map. From a World Map, you can find the nations of the world. Similarly, a sitemap includes the posts or pages of a blog or website. Simply a sitemap can be defined as a list of pages of a site. A sitemap gives access search engines to crawl those pages. And it also let the visitors easily navigate throughout the site. If you submit your site's map to search engines (Google, Bing, Yahoo etc.) then it will be easier to index the site. Search position of the site will also be improved. Search engines can't index the pages of your site if you don't submit the sitemap regularly. Crawlers discover pages from your site and also from backlinks. Sitemap boosts up the process. It provides additional information about each URL (when it was last updated, how often it usually changes etc.) and thus makes it easier for the search engines to crawl a site properly. 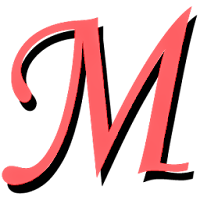 Note: If you follow my sitemap URL - http://munnamark.blogspot.com/atom.xml?redirect=false&start-index=1&max-results=500 - different browsers may display this differently. If you view the link in Chrome, you will see the above XML file. In my next post, I will show an easy way to create a sitemap even without coding knowledge. Today I'm gonna share an amazing tool with you. With this tool, you can activate Windows 7, Windows 8, Windows 8.1 Preview, Office 2010 & Office 2013 ! Don't believe this? Okay let's try . . . This tool is named as KMS Pico, Ver 8.9. I haven't test this tool yet. Actually I couldn't test this personally. Because my Windows is already activated. That's why I can't check whether this works or not. But you know, I hardly share something without testing it. I took help of my online friends. I've shared this tool with few of my friends. And they've used this KMS Activator in their computers. They've successfully activated their Windows 8 and Windows 8.1 Preview. Run the file Office & Windows.exe to start the operation. Keep installing the program as you normally do in case of other programs. Next > Next > Next . . .
Now look at the image at the top. Wait few moments. Hit on the Red Button when it is active. Check your activation status - Right Click on Computer > Properties > Windows Activation. While running this operation, make sure your PC is connected to the Net. Note: After installing this KMS, you will get the above activation status. But after sometimes, it may be unavailable. But never think that your activation has been expired. Just make sure, you're running all the features properly. Message for the Visitors . . . I've shared two activators for Windows 8 earlier. And those two are still very popular and successful. Again many of my visitors made complaint that none of the two work with their Windows. That's why I've to publish this one. Now I'm waiting for your reply. Please leave a comment and let me know, after using this tool, whether you've got your windows activated or not. And so far I know, this is also capable of activating Office 2010 & Office 2013 ! So, if you've any of them installed, please check whether it can activate them or not. Hello Dudes! Hopefully you're alright and also hope you're enjoying my posts. After a long time, I've come with MS Excel Tips. Couple of Months ago, I shared an Excel Sheet with you that includes - Salary Sheet, Result Sheet, Electric Bill etc. Today I've come with another sheet which will help you to learn how to create Column, Bar and Pie Chart in MS Excel. Actually I was planning to share this tips with you for a long time. But I couldn't understand how to start and what to write. Finally, I've decided to share a sheet with you as example. 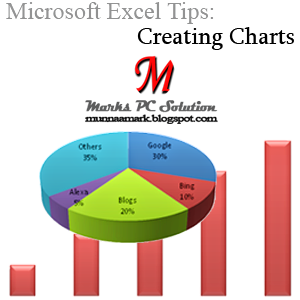 And I will also try to clarify how to create charts in MS Excel. But I've used Office 2010. So there might be some changes in other versions. For your convenience, you can download the above file and have a look before we start. It's just 22 KB! Remember, it is an .xlsx file and can only be opened with Office 2007 or above. Three charts are in three sheets. You will get the names at the bottom of the worksheet. Okay let's begin. I am using Office 2010. Input your data (Maybe you can enter particular in one column and values in other columns). In my example, I showed only a single column value. You can enter multiple columns. Maybe you can show the pageviews of three years while I showed only one year. Now select your input data (in my example, I selected only data - June to 120000) to avoid the column header to be appeared in the chart. Go to the Insert Tab > Find the Chart Section > Choose Column (I've used the first one). Now you will see a Column Chart in your book. This is almost similar to Column Chart but gives you a different flavour. It presents data horizontally. Creating a Bar Chart is almost similar to that of Column. After inputting the data, you have to go to the Charts and then choose Bar Chart. The best example of the use of Pie Chart is the representation of Budget. Without Pie Chart, representation of budget can't be imagined. It is notmally used when something is divided into parts. For example, in a budget, we can see what percentage of money will be spent in a particular sector. Such as for Education - 20%, for Defense - 30%, for Industry - 15%, for Power - 20% etc. Only Pie Chart can show this properly. To create a Pie Chart (take help of my example sheet), you have to enter the category in one column, and then enter the values in another column. Then select the input data, go to the charts, choose Pie Chart. That's it. After creating any chart, if you click on it, you will get three new tabs - Design, Layout and Format. From Design Tab, you can change your chart design - Chart Style and Layout. In Layout Tab, you will find Chart Title, Legend Position, Data Label etc. Format Tab will allow you to perform all kinds of formatting tasks including text color, line color, line style, font style, shape effects etc. Of course you can use your mouse to choose a particular part of the chart. Then you can change that part. To select a segment of your chart, click on it and then click again (not double click). If you wanna move any part of your chart, hit on it and move it when you get the moving pointer. You can easily insert a screenshot to your Microsoft Office file. Maybe you've many other options to capture screen and then place it to a required place. But isn't it handier if you can do so without leaving your file? 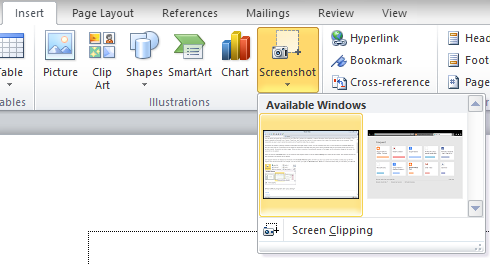 In March, 2012, I wrote about Snipping Tool, which is used to take screenshot. And this tool is really handy to work with images also. But when you're working with documents and workbooks, the use of snipping tool is somewhat difficult. First you have to capture the screen and then you have to save it, and finally you paste it. But many people don't know that Office 2010 & 2013 have screen clipping tool! Today, I'm gonna write about this . . .
Microsoft Word, Excel, PowerPoint & Outlook have screen clipping tool. Whenever you need to insert any part of your screen, you can use this tool. You should also know some tips to use it perfectly. Open any of the said programs - I'm using Word. Go to the Insert Tab - Find the Screenshot option. If you've some other windows open in desktop, you will see those in Available Windows - Choose one of them to directly insert that screenshot. If you don't see your necessary window in the list, then you've to hit on the Screen Clipping option. If you need to capture the screenshot of your desktop only, then keep all other programs either closed or minimized except the program from which you're taking screenshot - Suppose MS Word. You can also capture the part of your current program. Suppose you're clipping from MS Word and you've to take the screenshot of this program. When you hit on the Screen Clipping option, MS Word will be minimized - You will get 1 second to restore it. Then you will be able to capture the running document. If you wanna take the screenshot of a particular program, you must keep that program running - Make sure the window of that program is running - It shouldn't be minimized - Thus you can find that program in the list of Available Windows. If you have multiple windows open on your desktop, only maximize the window which you wanna capture - Keep all other windows minimized or closed. Remember, After hitting the Screen Clipping button from the Screenshot option, you will get near about 1 second to choose any screen - Within this time, you've to minimize or maximize a program that you would like to capture. You can also save the image after clipping a screen. Right click on the clipped image, then choose Save Picture As > Choose Picture Type > Name the Picture > Save the Picture on your hard disk. Applies to MS Word only. If you wanna add any previously stored image from your hard disk in your document, then hit on the Insert Tab > Select Picture option > Choose your picture. Hopefully these tips will be helpful for you. If you face any problem - Leave a comment below. Stay with Marks PC Solution to get more interesting Tips! After a long time, I'm come with a nice widget for blogger. Maybe you've already got an idea what my today's post is about. From the post title and the image, it is clear enough to guess that you're getting a Scroll to Top script for your blogger blog. I'm gonna share some buttons too. But you can easily replace the default button with your custom image. Now go to your blogger Dashboard or Control Panel or whatever you call it. Go to the Layout, and hit on the Add a Gadget button from anywhere. Now Save the gadget and View your site! There are many codes available throughout the web to add Back to Top button. Almost all of these will ask you manually edit your HTML. But this one very simple just like adding a gadget nothing else. At the beginning of this post, I mentioned, you can use your custom image with this script. Look at the blue part of the code. This is actually the link of the button where it is uploaded. If you have any button of your own, then simply replace the blue part of the code with your button image URL (You must need to upload the button image to the server) . That's all. Thus you can find the link of other buttons. Just click right button your mouse over the button you like, then copy the image URL. To make sure whether this is the right URL, paste it in a new tab of your browser to check whether the image is alright. Remember, sometimes an image may got two links or URLs. One is Image URL and the other is Link URL. You should copy the image URL, not the Link URL. It also depends on your browser sometimes. For exaple, Internet Explorer will only let you copy the link URL. It shows - Copy shortcut. Stay with Stay with Marks PC Solution . . .
Hello Guys! Eid Greetings for you! Today I'm gonna share a nice tool with you. This is actually based upon the request of Marija Petrovska, an agent of investintech.com. You people know that I often write about PDF tools which are free to use. But she requested to write about a soft which is premium but having much advantages. It's size is 16 MB (Approx). As I like light software, I denied to write about it. Later she shared some light tools with me. And I promise that, I must write about these tools for my valued visitors. And this is the first one you're getting now! You've already got an idea about today's post. And you know this is a really really a boring problem that belongs to the file format of Microsoft Office 2007 and 2010. Most of you are familiar with this issue. Those of you are using MS Word 2003 or earlier version normally don't face it. But if you're using Word 2007 or later version, you might have faced this problem sometimes. 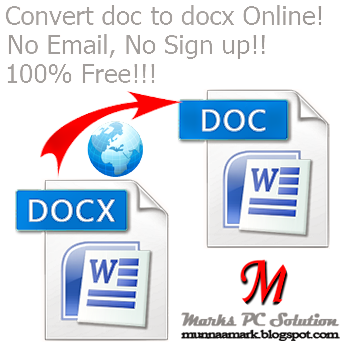 When you save a file in Word 2007 or 2010, the file will be saved as example.docx. But Word 2003 or earlier version will support only .doc format. And naturally you will not be able to open .docx file in Office 2003. Suppose you use Office 2010. You save a file as example.docx. You don't have printer. You're going to print your document from a shop. And this is your term paper submission deadline. You're far away of your home. When you're trying to open your document in that shop it shows some random symbols. Because it is Office XP or 2003. What do you do now? This is really a handy tool for my personal use. Hopefully this will be helpful for you too. Many many thanks to Marija Petrovska for sharing this amazing site with me. I will try to write about the other tools soon. And you people should also provide feedback by commenting here . . .
Portable Oxford Pocket Dictionary - Free Download !!! You know the OXFORD is the world's most trusted dictionaries. Maybe many of you got this on your reading table. And some of you may have it in your mobile or computer. But I'm gonna share the Oxford Dictionary (Pocket) with those people who don't have this. This dictionary is very easy to navigate as well as operate. But I'd like to introduce the operation for some users who are not familiar with such software. Download the zipped file from the above link and then unzip it. Double click on POD.EXE and wait a moment for the screen to be appeared. You will see a small search box to find the words. As soon as you type in the box, the word with definitions will appear. But first time, you may need to press Enter. At the left of the search box, there is a left and right arrow. Use them to see the next and previous words. Use Up and Down Arrow of the Keyboard to scroll down or up. There are five buttons next to the search box. Hit these one by one to find what do they do. You can take help of the menus and learn useful shortcuts to use the dictionary properly. From the Options Tab, you can change font and font size. Under the Convert Tab, you will get some useful conversion tool - Length, Speed, Pressure etc. Marks PC Solution has published many posts on Alexa so far. Basically those posts are about alexa tips. But this time you're not getting any tip on alexa. This could be an important news that may affect the alexa ranking of your site. In December 2012, I wrote a post named - Place Alexa Review Widget & Boost Your Alexa Ranking!. And it was really an awesome trick to boost that time. Have you noticed that I use the past form? Why? Those of you are not familiar with this feature should read this post. Alexa review system was a great trick to improve the Alexa rank. 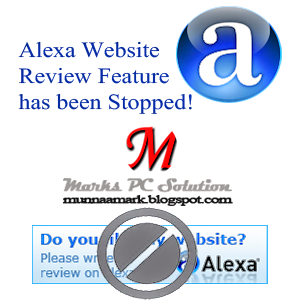 Marks PC Solution had more than 100 reviews on Alexa and these helped a lot to take the rank below 100000. These are the key reasons for what Alexa has stopped their review system. Besides Alexa Review system had some limitations too. One can write a review using his email. And if that email ID has Facebook account, then another review can be written using that FB ID. Sometimes a person couldn't find a proper category for the reviewed site. Then he needs to choose others category. Sometimes site owners create multiple account on Alexa. And they write multiple reviews for their own sites which is not legal. But Alexa can hardly detect the cheating. And those sites get higher ranking. There is another problem. Established websites and blogs are hardly interested to Alexa Ranking. They never focus on what happened to Alexa rank of their sites. Often we see the giant sites have only a few number of reviews on Alexa. Where the poor sites have many reviews which are suspicious. Considering these controversial issues, the Reviews Feature has been stopped by Alexa. When the Reviews feature was active, Alexa toolbar used to show the number of reviews for a website. But now this button has been removed from Alexa Toolbar too. Will this Affect Current Alexa Rank? Simply I don't know! I tried to find the details, why Alexa stops this. But can't manage sufficient information. I searched Alexa for clues. But there was nothing about it. If you get any link you can share in the comment box. You're requested to share any information related to the Alexa Reviews Feature. Thanks . . .
Hello Guys! Hopefully you're visiting Marks PC Solution regularly. You know, most of the posts of this site is unique. And almost all of the posts are useful and interesting. That's why it's been targeted by plagiarists! Many posts of this site are being copied with images. That's why I've decided to use Marks PC logo and badge where possible. And I've already redesigned the logo and it's being used with new posts. When new post will be published, this badge will be inserted with the post images if possible. Though both of the tips are quite useful, but it's really a time consuming task to find and punish the copiers. So I think, using the logo or badge with post image is a better solution. But you shouldn't damage the quality of your post image by inserting your logo inappropriately. And it's not necessary that you will use your logo with all the images. An XML Paper Specification (XPS) is a document format that you can use to share documents with others. Except few dissimilarities, it is exactly similar to a PDF document. More than a year back, I discussed about PDF file and I've also discussed about how to create PDF file. Today I'd like to talk about XPS. 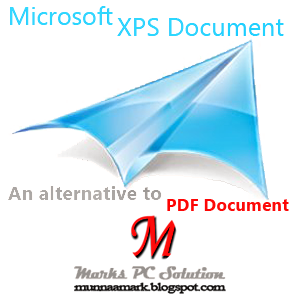 Though XPS is also available with Windows Vista since 2006, still this is not a popular way of sharing documents due to the widely accepted PDF documents. PDF is being used for a long time. Thousands of tools (either Premium, Freeware, Shareware or even Open Source) are available throughout the web for handling PDF documents. You should notice, PDF viewer is available with any smart phone, tablet, laptop or desktop. It is supported by any operating system. But XPS is not so cheap. It's exclusive for Windows Vista or Above. And that's why it is not a widely accepted medium of sharing documents. While most of the people even don't know about XPS document, I really enjoy storing my files in xps format. Believe me- this is safe too! Because a Windows XP user can't open your XPS file normally. You can easily store your information in XPS format and upload these to internet! How to Create XPS Document? If you can create PDF documents, then creating XPS is nothing serious for you. But if you don't know how to create PDF, then first you should read this. This will help you to be familiar with the necessary steps. 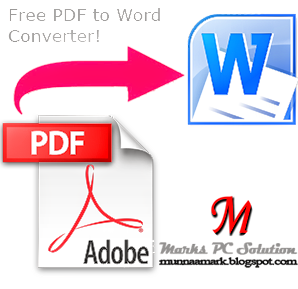 Press Ctrl + P from any program you want to create PDF from. Create Printer > Choose Microsoft XPS Document Writer. Hit on the Print Button. Name the file and choose the destination where it should be printed. Finally hit the Save Button. Your file is ready. Note: Look at the Save as Type in step 4. You can choose either .xps or .oxps. How to View XPS Document? To view XPS document, you have XPS Viewer with Windows 7. And in Windows 8 or 8.1, you have XPS Viewer and Windows Reader. Without XPS viewer, you can't open this type of file. How to Use XPS Document? I never recommend to use XPS document for sharing files with others. Because you know XPS is still unknown or unavailable to most of the people. In case of sharing files, PDF is better. But while sharing an exclusive file, XPS is a better choice for sure. You can store your personal information through xps files. You can also upload those files online. This works like printed papers. Like printed files, XPS file doesn't allow you to change the contents easily. So you can protect your contents from alteration or overwriting.